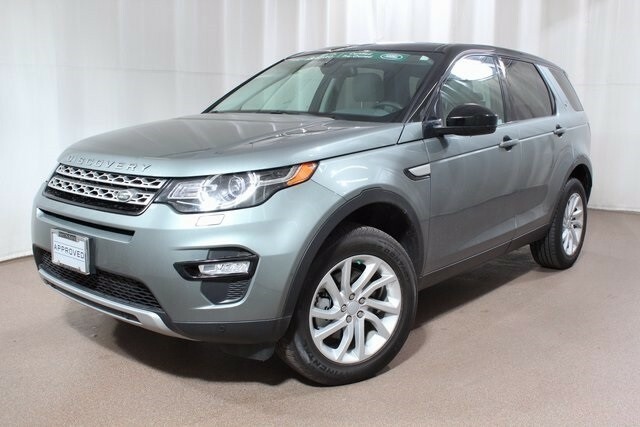 Here in our inventory at Land Rover Colorado Springs we currently have this beautiful Approved Certified PreOwned 2016 Land Rover Discovery Sport available! For less than $43,000, you can purchase this sporty SUV with only 9,300 miles on it! Equipped with a 2.0L turbocharged engine that gets an estimated 20 MPG city/26 MPG highway. That is really fantastic for a SUV! You won’t be disappointed with features either. Enjoy navigation, rain sensing windshield wipers, Climate Comfort package and steering wheel mounted controls. This SUV is also equipped with 10-way power front seats with memory, climate front and rear seats, Driver Assist Plus package, InControl Apps, and much more. Stop into Land Rover Colorado Springs to find out more about this capable and feature-filled SUV. Take a test drive and experience the powerful performance. It will be easy for you to imagine the many exciting adventures you can have with this 2016 Land Rover Discovery Sport.